Better Comprehension: Language is learned through comprehension. When you get a language input either by reading or listening, you learn various aspects of the language even without noticing that you are learning. But in order to learn the language you will need to understand what you are reading or listening. Only then it can be useful and meaningful to you and help you with the acquisition of the language. Without a strong vocabulary you can neither read nor listen much. If you are reading something and frequently getting unknown words in the text, your chances of giving up reading are very high. If you know more vocabulary, you will feel like reading more; you will listen to Korean content more often and ultimately you will learn more. How many times has it happened with you that you could not answer a question because you didn’t know just ONE crucial word in the question? 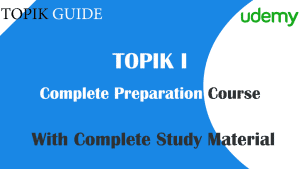 Many readers of our site write to us that they had to leave the essay question in TOPIK II unattempted just because they couldn’t understood the one crucial word in the question, i.e. the topic of the essay. Most of the times the Korean language skill is not the problem; only if the had known that single word they could have written a good essay on it. If you have a stronger vocabulary, you can guess the meaning of many words and grammar patterns just from the context and it will definitely help you get a good score in TOPIK test. Effective Communication: Language is not just for survival, It shapes your overall personality. All of us know that great speakers and authors have a much wider range of words than the normal people. These words help them craft their sentences in a very effective way. The use of good words make the sentences more precise enhances their impact. Having a good vocabulary does not mean you have to know too many words and use the difficult ones when you write or speak. It’s all about knowing the words in their totality (meaning and context) and choose a word with precision to use in a specific situation. Having a good vocabulary does not make your sentences long and difficult, it actually makes them easy to comprehend. Better Thinking: Have you ever noticed that your vocabulary affects how deep you think about something? If you have a beginner level vocabulary then your thoughts while writing or speaking about something won’t go beyond a certain limit. But when you have to describe the same thing in your mother tongue, your thoughts will go to new heights. It is because our brain knows our boundaries. A good stock of vocabulary opens new windows in our brain. Impress others, Improve relationships: Stronger vocabulary leads to good communication and all of us know that Good communication skills lead to better social image and better relationships. I remember once I used the word ‘분말’ instead of ‘가루’, referring to the powder form of spices that goes into Ramyeon and the person I was talking to was so impressed with it, though I had just learned that word from my habit of checking ingredients on food packets. He overestimated my Korean language level just because I used an advanced level word instead of the beginner level one. 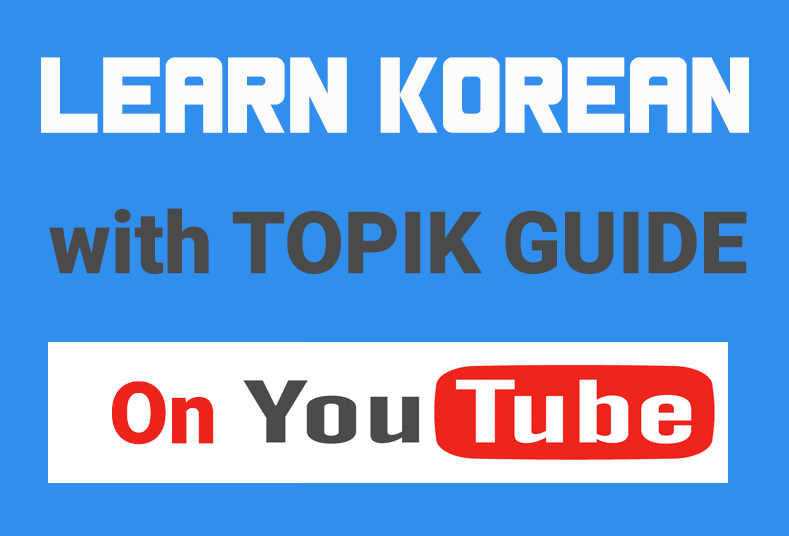 So, whether you are learning Korean just a hobby or to study in Korea or to make a career in it, you should work on improving your Korean vocabulary. Very soon you will realize that your enhanced vocabulary is helping you improve your overall Korean language skills. 답이 너무 늦었네요 ㅜㅜ 죄송해요. I clicked on the how to link. Not the why.